Thank you to St. Martin's for the free ARC in exchange for an honest review. There's definitely similarities in here to Still Alice but I enjoyed reading the story from all the different characters' views as they displayed their vulnerabilities, fears, and dreams to the reader. While Anna, the young woman with early onset Alzheimer's is the focus of the story, I was drawn to Eve and her daughter, Clem, who were going through troubles of their own. I liked how they learned from each other and what Eve learned from working with Anna, the power of love, whether you have memory of it or don't. Any fan of women's fiction should be drawn to this story. I'm glad this book will be out in the world soon for others to enjoy. I definitely look forward to more by this author. 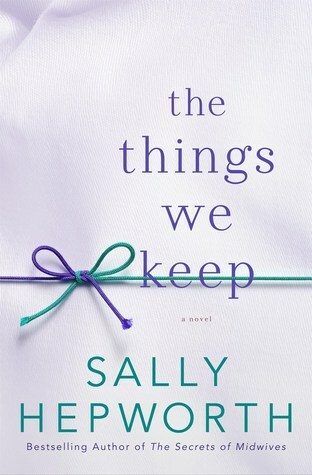 Sign into Goodreads to see if any of your friends have read The Things We Keep.